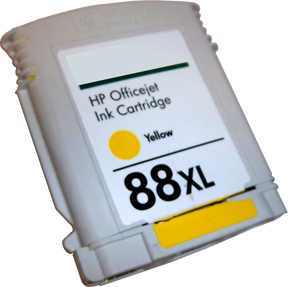 Your printer/computer may display an HP 88, 88XL ink cartridge alert message, such as “non-genuine cartridge”. Press proceed/continue/accept/yes/OK to dismiss this prompt. If a “Cannot Print” or “Unrecognized Cartridge” message appears, return the cartridge to your ink refiller to have the cartridge replaced and weighed. When an “Expired Ink Cartridge” is inserted, an error will occur. Clicking on the more detail button will have the ink reliability and how to continue printing. To continue, HOLD the Power Button and press the Resume button three (3) times. Release the power button. This action will enable printing. Refer to NOTE below if this does not solve the current issue. NOTE: All smart chips are pre-programmed with the expiration date (it is only allowed to be so far in the future) so sometimes it may be exceeded by either sitting too long or if for some reason the original chip was not replaced as part of the refill process and the original chip has hit its time limit. If you suspect the chip has expired then return to your refill store and request chip replacement. As the electronics in the ink cartridge and the printer communicate with each other, sometimes the printer will incorrectly identify an ink cartridge as “Unrecognized” or non-functional. 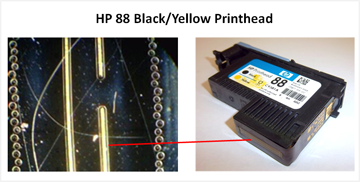 Following ink refill, if the HP 88 or 88XL ink cartridge(s) is not initially recognized, or incorrectly recognized as another color, first verify the HP 88 smart chip is present (see photo below for correct positioning). If the smart chip is missing or the ink cartridge is incorrectly recognized as another color, return the cartridge to your ink refill center for cartridge validation. For ‘Alignment Failed‘ errors and if the internal test print displays banded output (similar to the picture shown below) we first suggest you activate several ‘Cleaning’ / ‘Clean Printhead’ procedures from the Tools/Maintenance menu to see if this resolves the issue. 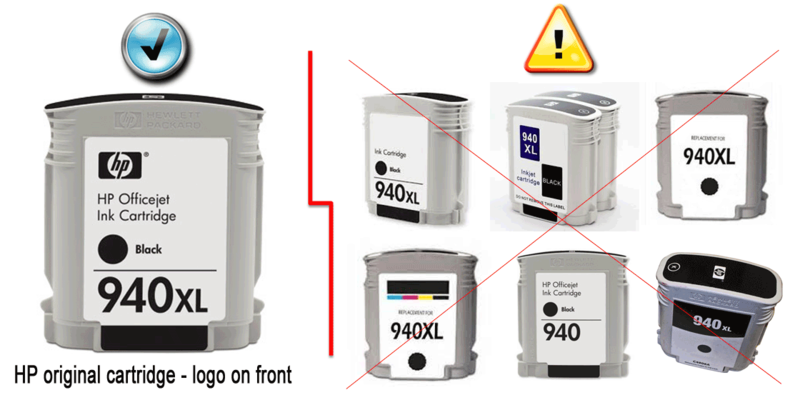 If you continue to observe “Printhead Missing or Damaged“, “Alignment Failed” errors or if a print color is completely missing (even after the ink cartridge is replaced with a new one and several ‘Clean Printhead’ procedures have been performed) then perform the recommended solutions below. Resolving this type of failure typically requires replacement of at least one of the PRINTHEAD assemblies (either the Cyan/Magenta printhead or the Yellow/Black printhead). Ink cartridges on the other hand DO NOT typically fail and may be used over and over until physical damage occurs (i.e. leaking housing or chip damage). If you think the refilled cartridge might be bad, take it back to your refiller and have them re-check the cartridge. 1. Turn the printer on; open the cartridge access door. 2. Remove the suspect cartridge(s) from the station. Inspect cartridge chips for cleanliness – no ink residues should be on chip surfaces. Clean as necessary. 3. Re-install the cartridges in their stations at left side of printer. 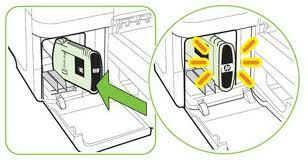 Ensure cartridges are thoroughly seated into printer. 5. Turn off the printer for a few seconds and then turn it back on. 6. Print a test page following your printer’s instructions. 7. If this does not work, please proceed to step B. 1. 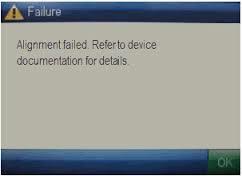 If the problem has not been fixed it may be useful to perform a “hard reset”. This can correct an electronic flag setting inside the printer telling it that the print cartridge is problematic. Please refer to your printer’s user manual or the manufacturer’s website for the correct “hard reset” procedure for your printer. Often times it simply involves turning off your printer and unplugging it for at least 30 seconds. 2. Print a test page to determine if the problem has been resolved. 3. If the problem persists, you may need to purchase a new printhead assembly. 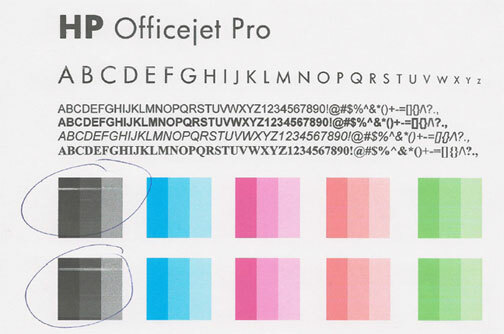 Refer to Step C.
Step C: If print quality cannot be corrected, then one of the respective print heads might be faulty (one is for Cyan/Magenta, the other is for Yellow/Black colors) and may need to be replaced. It is suggested to refer to manufacturer instructions for your printer model. The steps below are provided for general guidance purposes only. NOTE 1: One printhead assembly is responsible for Yellow/Black printing, while the other assembly is for Cyan/Magenta printing. Refer to video (below) which illustrates how the printheads functions. 1. Open the top cover to access the printheads. The carriage should move to extreme left side of unit (if not, press and hold the ‘OK’ button on control panel for 5 seconds). 2. Lift the blue printhead latch to gain access to the 2 printheads. 3. Remove and/or reinstall new printhead assembly. Lower the blue latch handle to securely lock the printhead assemblies into place. Close the top cover. 4. Allow the alignment page to print; this will help confirm if the problem has been fixed. If an “Alignment Failed” message continues to appear then one of the Printheads is likely at End-Of-Life and may need to be replaced with a new one. The Yellow/Black and Cyan/Magenta PRINTHEAD will eventually fail over time with usage and age. NOTE 1: A compatible/clone ink cartridge can be problematic as the smart chip (at base of cartridge) may not provide reliable printer-cartridge connectivity once installed. Compatible/clone ink cartridges are typically purchased on-line or at select retailers (i.e sold under a different label than the regular HP cartridge packaging). For the best refilling experience, only use HP original/genuine ink tanks (HP trademark logo should be visible on the side/front label of ink cartridge). HP 88 and HP 940 ink cartridges are very similar in both function & design (picture below is for illustrative purposes only).